Yuvraj Singh is dating a Bollywood actress!! Who is she? Yuvraj Singh is dating a Bollywood actress!! Who is she? 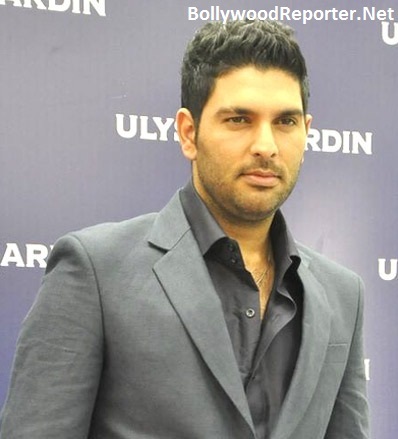 Home > yuvraj singh > Yuvraj Singh is dating a Bollywood actress!! Who is she? Yuvraj Singh is dating a Bollywood actress!! Who is she? 33 year old Indian cricketer, Yuvraj Singh have found love once again in Bollywood. Everyone is eager to know about that lucky girl. Who is she? She has worked in Bodyguard with Salman Khan! No, No, No! It's not Kareena! It's Hazel Keech, who played role of Maya (Kareena's friend). However, they aren't willing to confirm to their relationship. But its true that British model-turned-actor Hazel is linked to Yuvi. The two have recently spotted at public places and as per reports they are dating and holidaying in London. Previously Yuvi has been in a relationship with actor Kim Sharma and was also rumored to have dated Deepika Padukone. Hazel had never worked as a leading actress but is known for her role in Bodyguard. She also appeared in Suzuki ad and as well as in Big Boss 7.